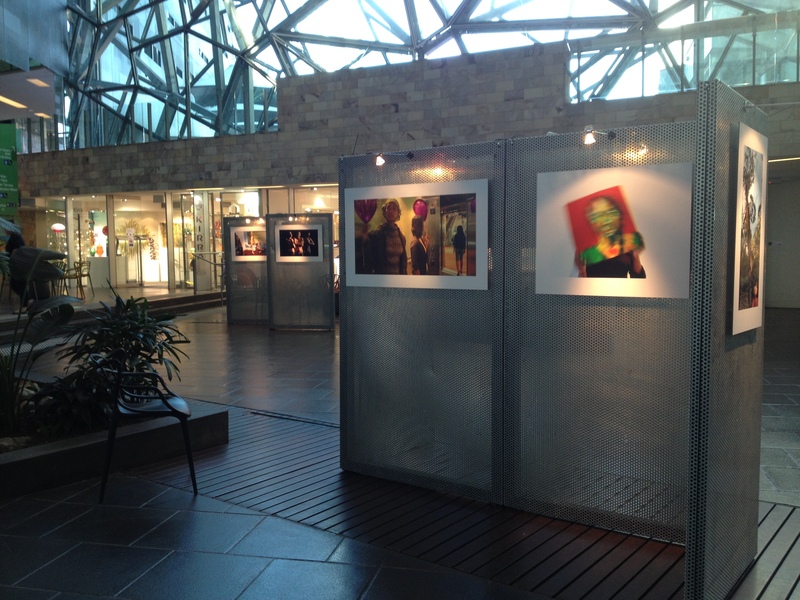 This week the Growing Up with Cancer self-portraits are spending a week at Federation Square, Melbourne. 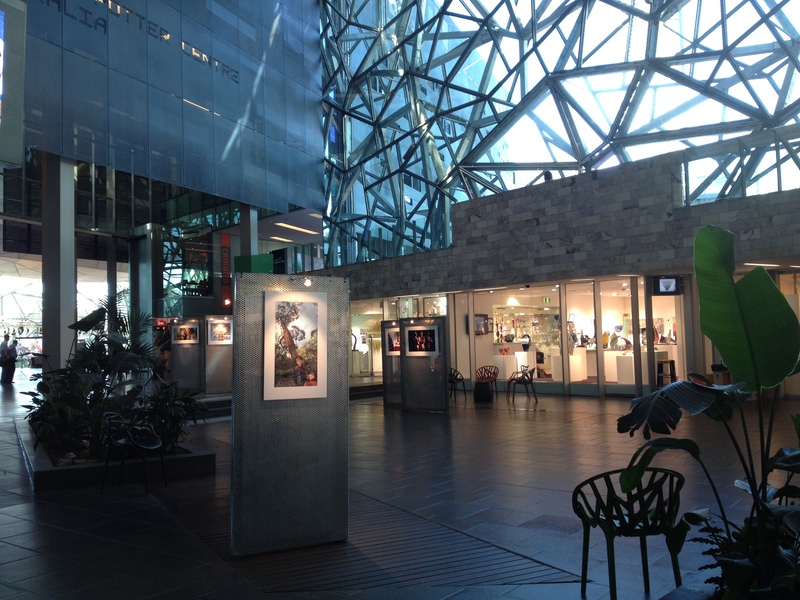 This amazing venue gave the exhibition a whole new audience as school groups, tourists and lunching office workers made their way through the Fed Sq complex or to the Ian Potter Museum. Two of the artist-participants (with proud mums and dads and kids) attended the Tuesday launch. We heard speeches from Michael Carr-Gregg (adolescent psychologist and long-time CanTeen supporter), Lachlan Korvin (CanTeen patient member and board member), Melia Bartholomeusz (GUWC participant and artist) and Peter Lewis (on behalf of GUWC team). 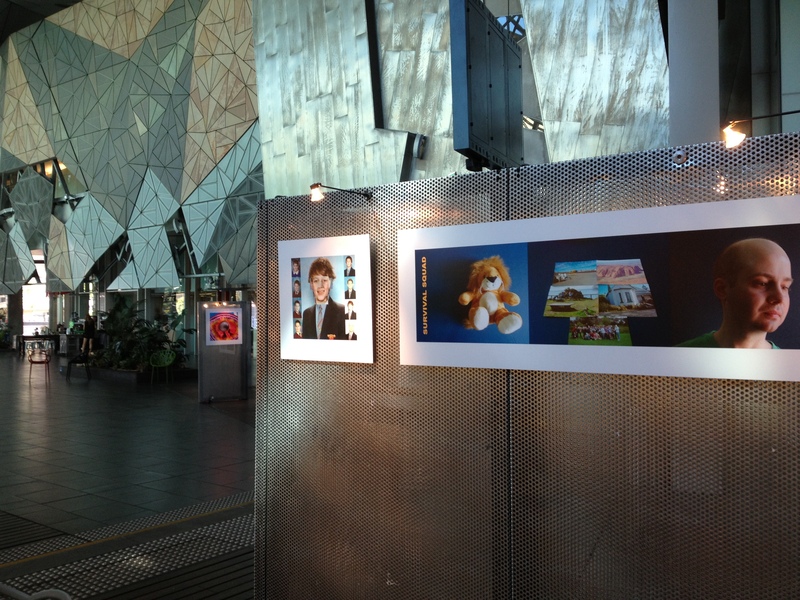 The exhibition is now at the Peter MacCallum Cancer Centre (in time for the “Bridging the Gap: Meeting the needs of adolescents and young adults (AYA) wherever they receive Treatment” conference). 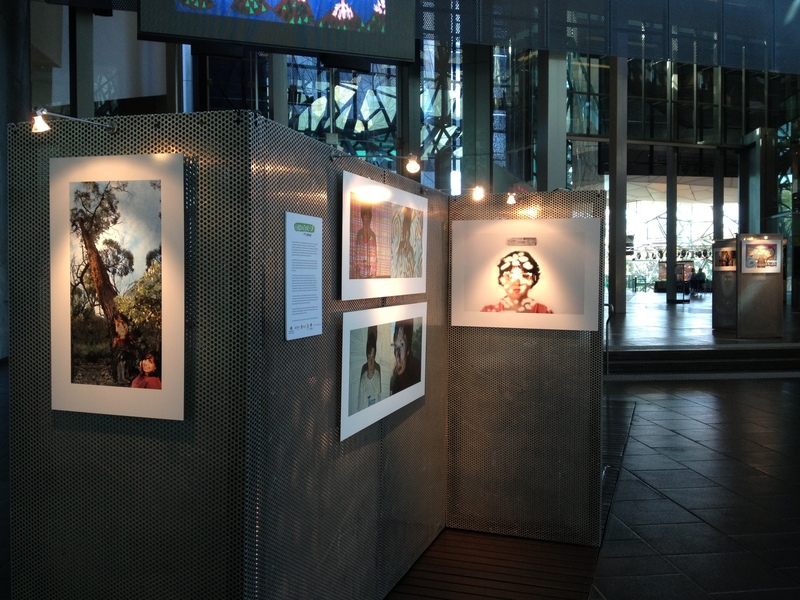 It will be back in Sydney in May for a month at the Downing Centre. An electronic copy of the exhibition catalogue is available here; or email me for a printed version. Special thanks to Sandy Bliim who flew back from Nauru to set things up!